Microsoft Killing MS Points? Please Be True. This is far from the first time this rumour has popped up. We heard last year that Microsoft was planning this, but as the reveal of a new Xbox console - and a new Windows update - draws closer, we're hearing it again. This time a little more convincingly. 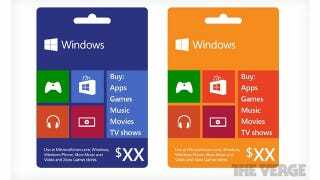 The Verge reports that Microsoft will soon be killing off the points scheme in favour of a universal "gift card" that could be used across all of the company's platforms and be purchased in real-world currency. It's also shared images of what it says are the cards in question, which clearly show an Xbox controller on the front, as well as space for actual dollar amounts. Please be true. Of all the things we've had to adjust to this console generation, having to constantly convert points into dollars - and being stuck with leftover points in your account after a purchase - have been about the stupidest. We've contacted Microsoft for comment, and will update if we hear back.